Preheat oven to 160°C (325°F). Place the butter and sugar in an electric mixer and beat for 8–10 minutes or until pale and creamy. Add the vanilla, egg yolk and lemon rind and beat to combine. Add the flour and beat until a smooth dough forms. Cover the dough with plastic wrap and refrigerate for 30 minutes or until firm. Roll tablespoonfuls of dough into balls and place on baking trays lined with non-stick baking paper. Flatten slightly and press a finger into the centre of each biscuit to make an indent. 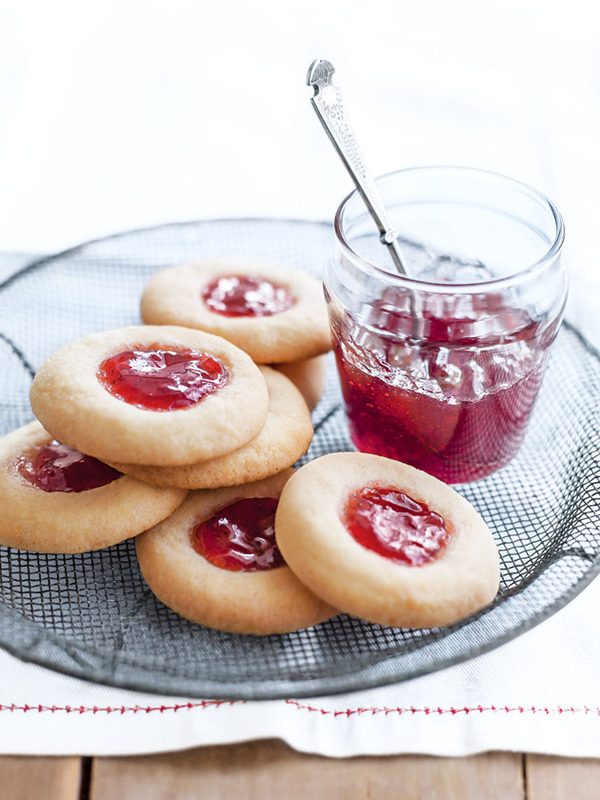 Fill the indent with ½ teaspoon of jam. Bake for 15–20 minutes or until light golden. Allow to cool on baking trays for 5 minutes before transferring to wire racks to cool completely. Makes 38. Tip: To ensure the biscuits don’t crack, make the indent in the dough quickly before it dries out.